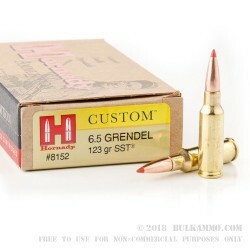 Channel the might of Beowulf’s mighty adversary in your custom AR-15 with these 6.5mm Grendel rounds from Hornady. 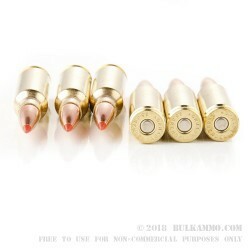 This cartridge features Hornady’s own 123 grain SST jacketed hollow point bullet, a boat-tailed, polymer-tipped, “spire profile” bullet that delivers a flat-shooting muzzle velocity of 2580 feet per second and a beast-slaying muzzle energy of 1,818 foot pounds. Upon striking the target, the bullet’s design keeps the core and jacket locked as they expand, delivering maximum terminal performance. 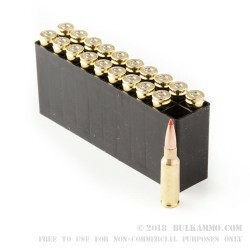 Each round in this box of 20 uses Boxer-primed brass casings. Known for its top-notch hunting and defense bullets such as the XTP and SST, Hornady was founded in 1949 by J.W. Hornady. The company’s single production facility in Grand Island, Nebraska covers 150,000 square feet and produces cartridge components, bullets, and loaded ammo. 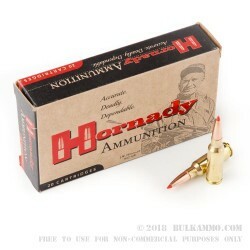 Hornady ammo is a popular choice for high-performance applications such as self-defense, hunting, and law enforcement work.